A quick and easy way to through together a side dish is to buy dressing, cook up some noodles and add some fresh veggies. 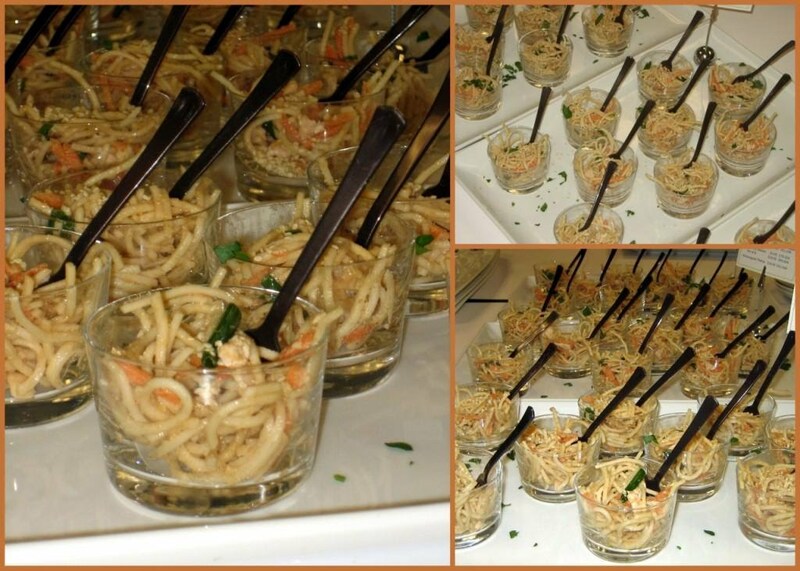 That's the inspiration for this tasty side dish: Asian Chicken Noodle Salad. There is not much to say about this dish, except for two things: Make it your own by adding the veggies of your choice dressing/dipping sauce of your choice & it can be served cold, which is awesome when you want to prep this a head of time. Cook the lo mien noodles according to package instructions. Strain, rinse and let cool slightly. While noodles are cooking, slice scallions and chop chicken breast to the size of your liking and add to bowl with carrots. When noodles are cooled enough, add to veggies and top with Sesame Sauce. Toss to coat fully. Put in fridge to chill for at least one hour before serving. But can be made a day in advance. Will stay good for a few days, but flavor will fade over time and you may need to add more sauce. Note: If you are planning a small presentation as small individual servings (as in the photograph), cut lo mien noodles before cooking to achieve more of the bite size strands.